It's easy to lose track of celestial events that are happening right above our heads. 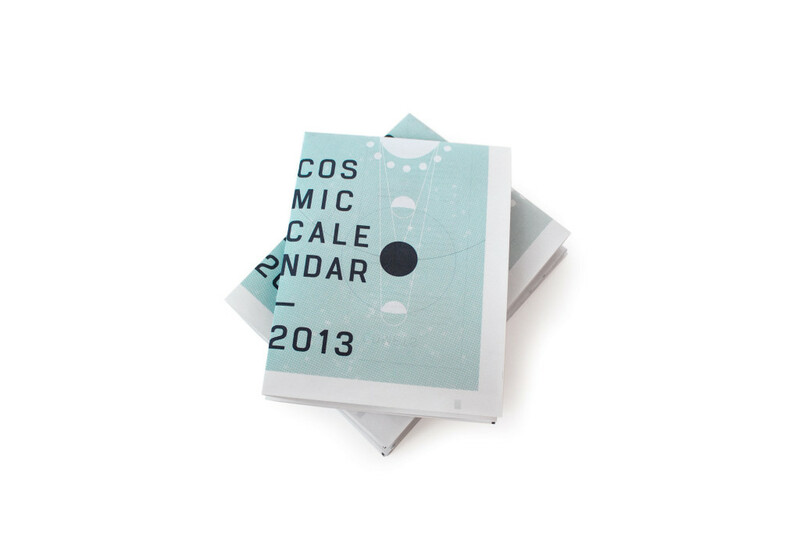 The solution for Denver-based communication designer Michelle Merlin was a pocket-sized cosmic calendar. Printed as a digital tabloid, Merlin added a few extra folds after she received her newspapers to create a handy brochure that's small enough to store in a car’s glove box (for stargazers on the go). "I had found it difficult to find straight-forward printed material for amateur stargazing," Merlin tells us. "I have a huge affection for time periods when astronomy and design lived harmoniously together." 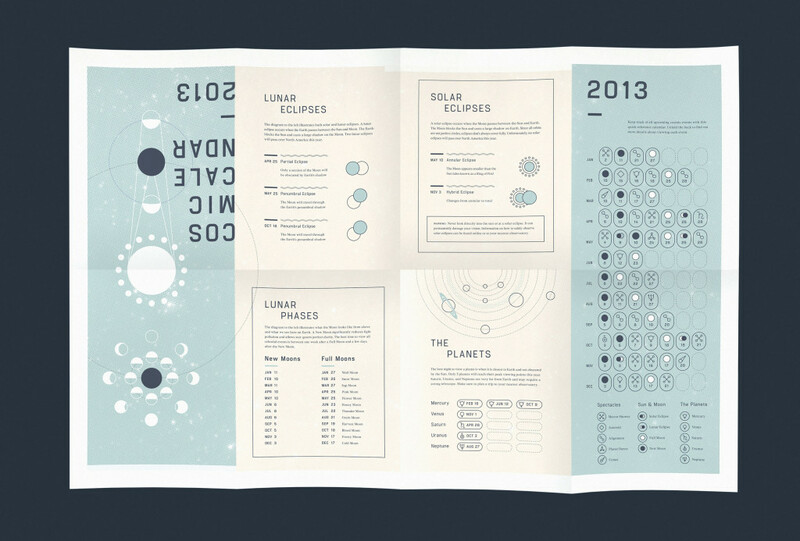 "This star-gazers’ pocket guide is an experiment in communicating a complex set of information quickly and clearly. To produce this project, I studied and collected astronomical event data for the year of 2013, and then arranged them by date and category. The newspaper contains a quick monthly reference panel and information about meteor showers, comets, asteroid sightings, close planetary alignment, lunar eclipses, and solar eclipses.It also instructs viewers on how to find these events and encourages people to check out their local observatory for more challenging spectacles." "I chose Newspaper Club because I wanted to give the calendar a nice tactile quality. 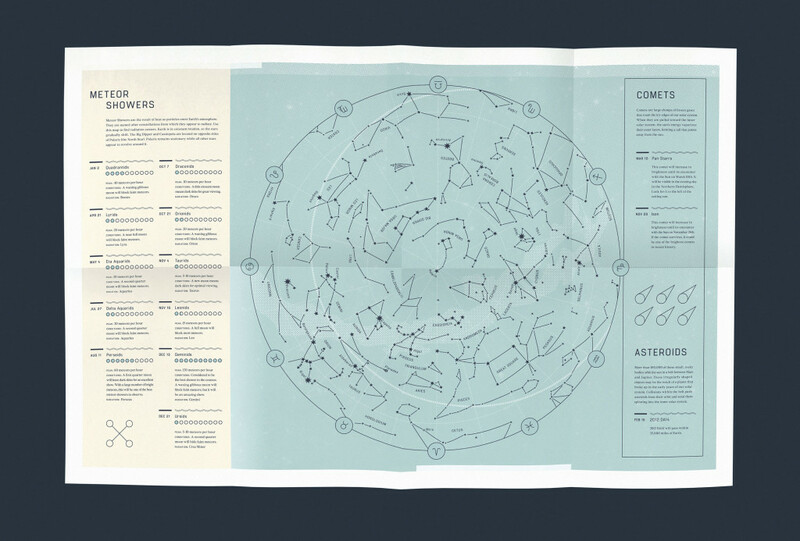 Newsprint is lightweight enough to fold down and carry with you, and a large center-fold allowed me to fit more details into the star map. This brochure was designed during my sophomore year of college, and printed for my senior portfolio. I hope to turn it into an annual project."